Worlds 2004 site by Ellis Piltz. footbag.org by Steve Goldberg and Eric Côté. Copyright © 1994-2004, IFPA. All rights reserved. 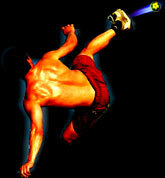 Int'l Footbag Players' Association, Inc. is a U.S. 501(c)(3) Non-Profit Corporation.